About this item: Flowers accessorize Catrina’s turquoise dress as she personifies death with grace and humor. As always, she wears a wide-brimmed hat. Angel Cerón is inspired by the celebrated cartoon developed by José Guadalupe Posadas to poke fun at Mexico’s high society during the early 1900’s. 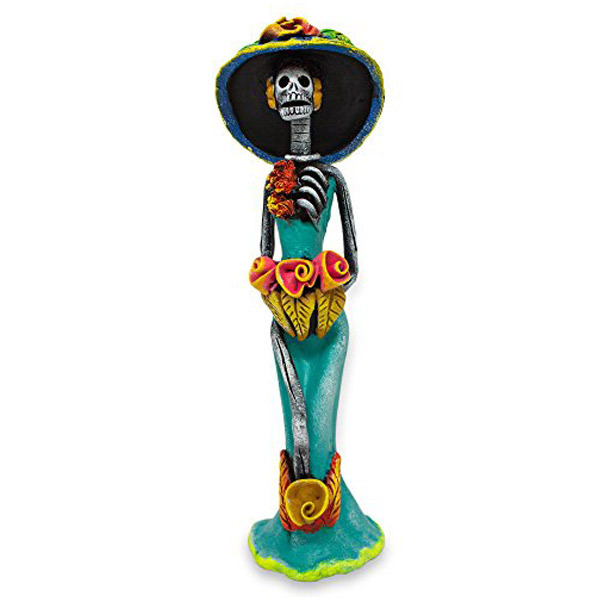 Revealing Catrina’s skeletal figure, the Oaxacan clay sculpture is painted by hand. Catrina’s head can be removed.